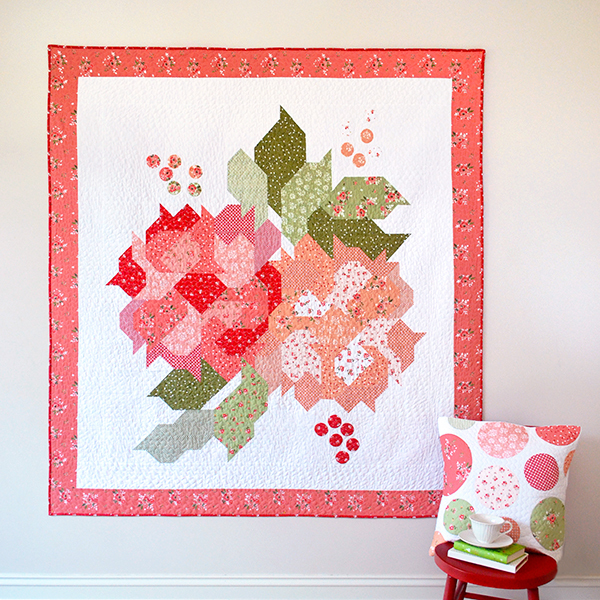 I've just released two new quilt patterns featuring my Summer Blush range! They are both available in digital PDF format in my shop - paper versions will be available from next week. 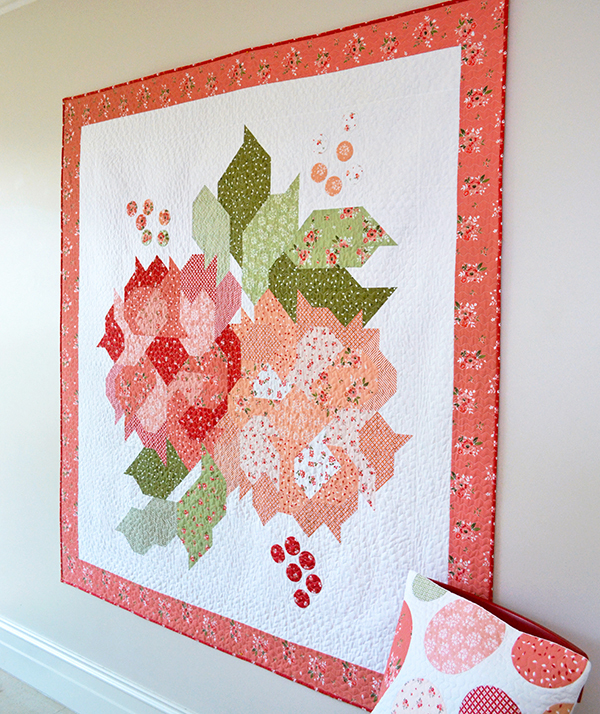 The first quilt is called 'Summer Stroll' and measures 55" x 57". 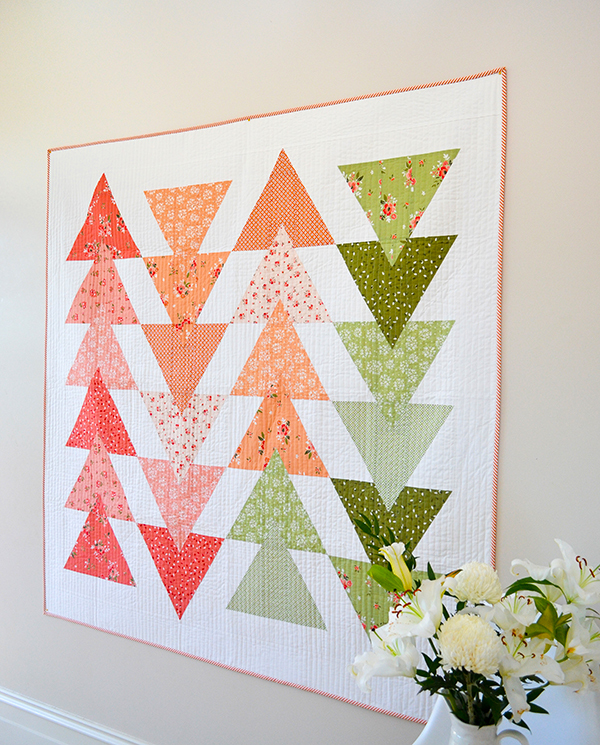 It's a traditionally pieced modern quilt featuring half rectangle triangles. You can get the pattern here. 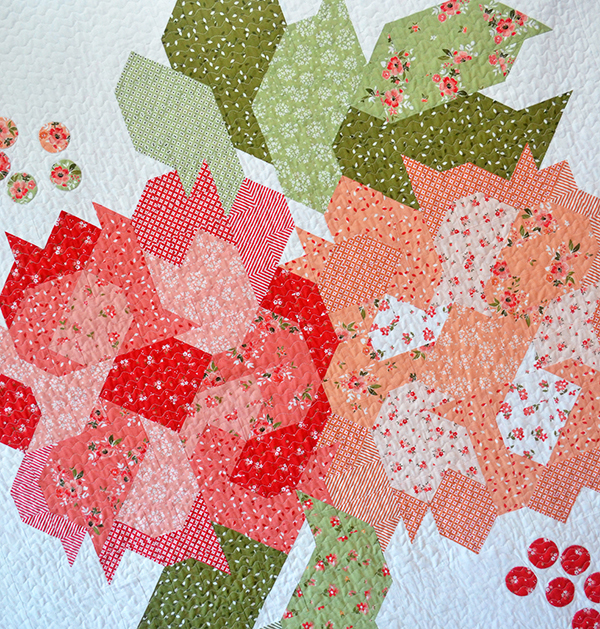 My second new pattern is called 'Blushing Blooms', measuring 64" x 68". 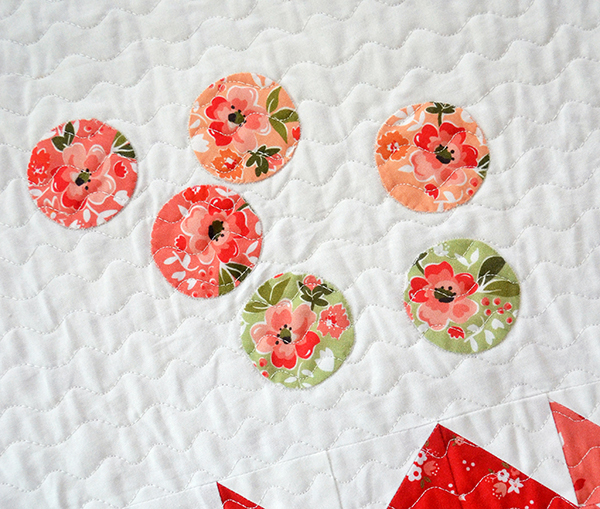 It's traditionally pieced featuring half square triangles and circular appliques for the flower buds. 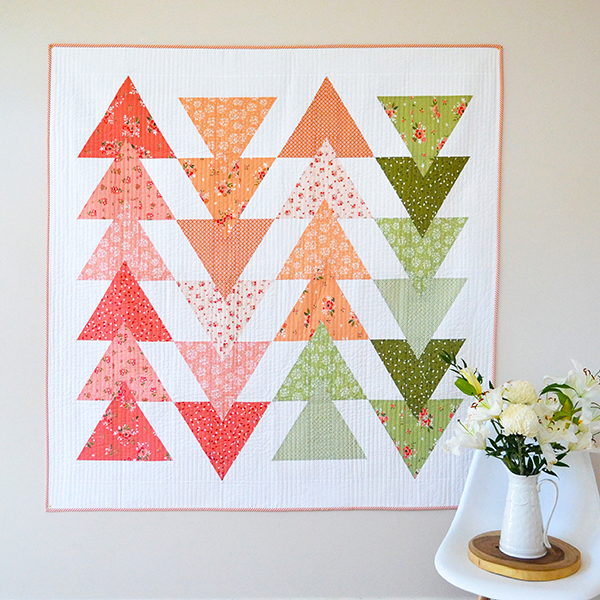 You can get this pattern here. 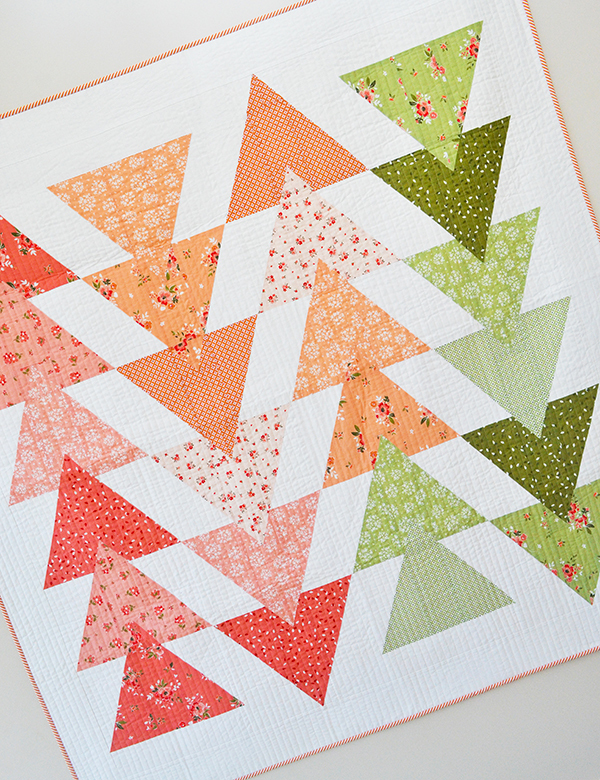 I hope you like my new patterns! I've been quite blown away by the love they received when I shared them on Instagram a few days ago. 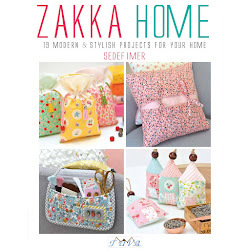 Wholesale order enquiries for both patterns can be directed to my distributors Creative Abundance. Please email me if you would like more info!